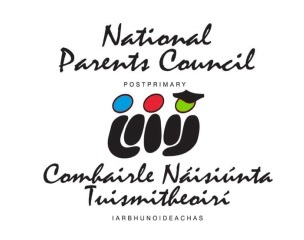 Welcome to the NPCpp's -National Parents Council post primary- Parents Survey. Secondary education in Ireland is changing rapidly at present and we continue to represent school parents interests and concerns at national and government level. To ensure that your views are taken into account, please take a few minutes (maybe only ten!) to complete and submit the attached survey. We value the views of all parents and your assistance through the survey will help us to stay abreast of the issues that you are currently concerned about.